SYDNEY, NS – The new design, funding partners and timeline for New Waterford's "Urban Center" will be revealed at Plummer Avenue Days in New Waterford. 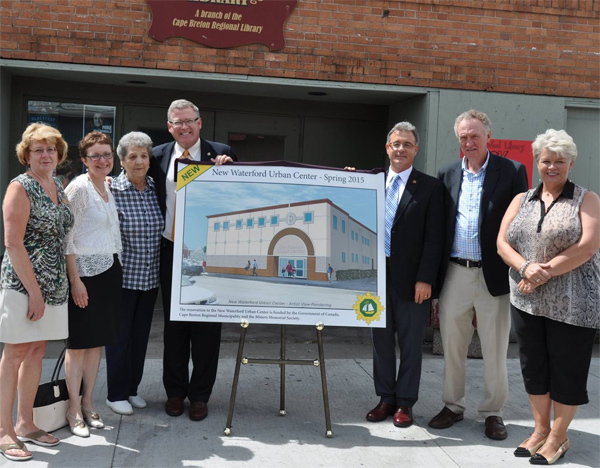 Mayor Clarke, Councillor Lowell Cormier and the building's tenants will be on hand to unveil the artist rendering of the planned renovations to the historic former Paramount Theatre building on New Waterford's main avenue. The renovation project is expected to begin this fall.